Allen & Heath was in the vanguard of the first wave of great British mixer companies, starting life at the heart of London’s swinging music scene in 1969. In those early days Allen & Heath hand built mixers for the top bands of the era, including Genesis, Pink Floyd and The Who. 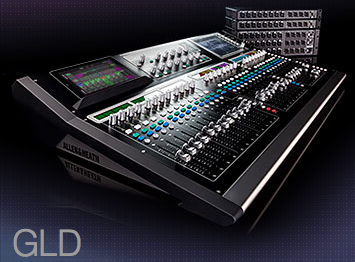 Today Allen & Heath are known for manufacturing reliable and cost effective mixing consoles such as the dLive, SQ and GLD series solutions to name a few. 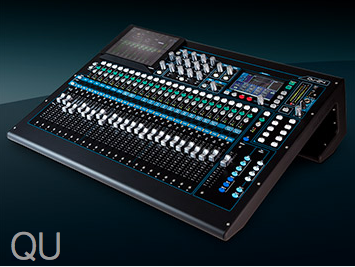 PAT is an authorised Allen & Heath re-seller and we can help you choose the right mixer for your application. 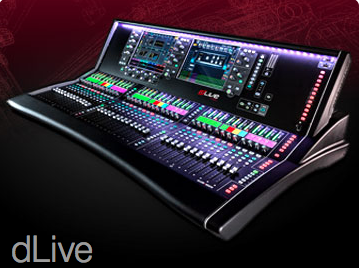 When it comes to live production consoles, our staff certainly know what they are talking about. A lot of our engineering staff – including Managing Director and owner Patrick Salloch – come from a live sound / recording background. Did you know that Professional Audio & Television was actually named Professional Audio Technology until 2014? When it comes to large format production consoles, be it for live broadcast, live front of house consoles, fold back consoles or large format recording consoles, you have come to the right place! PAT offers the entire range of Allan & Heath products. Please click the links on the right to see the entire product range via the official Allen & Heath website, view the latest videos on their YouTube channel, engage with Allan & Heath on their Facebook site or follow them on LinkedIn. Of course, should you have any questions please do not hesitate to contact our sales department!